Medical protective apparel is a term that is used to refer to all items of clothing that are worn with an objective to ensure protection from infections and pathogens. Health care professionals including doctors, general physicians, surgeons, nurses, lab technicians, etc. are the biggest users of such protective clothing owing to their jobs that require them to work closely with patients and biological specimens. Patients need to wear such clothing to protect themselves from possible contamination by non-sterile garments. Visitors to hospitals and health care centers are also required to put on medical protective clothing for ensuring their own safety as well as that of their patients. People working with hazardous substances too wear such protective gear. Medical gowns, more commonly known as surgical gowns, are used by surgeons as well as patients undergoing some surgeries. These gowns typically are latex-free and feature front/back opening and long sleeves with elastic cuffs and could be as low as the calves. Multiple options with respect to color, material and designs are available in gowns to meet the varying needs of the market. Both reusable gowns as well as single-use gowns are available in the market. Made of spun-bonded, latex-free material, these clothing items are durable and resistant to tear and are used as an ideal alternative to reusable clothing. 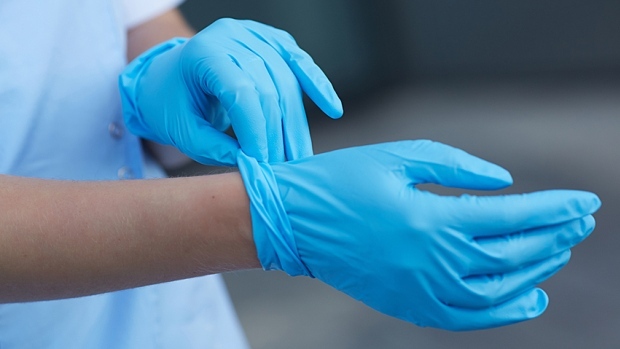 Gloves are an essential type of protective clothing worn by people working with sterile equipment and body fluids. Usually discarded after use, these are available in multiple material options including latex, synthetic and vinyl. Synthetic and vinyl gloves are used by those with latex allergies. Face masks are worn to cover nose and mouth to prevent inhaling particulate matter and exhaling microbes in a sterile environment. These masks have high particulate filtration efficiency (as high as 98%) and come with elastic bands or ties for fitting. Most masks have anti-fog and fluid repellent properties and may also feature a visor for added protection against splash. These caps are worn to cover the scalp and hair. There are two broad categories of headgear. Surgical caps worn by surgeons and nurses are tighter and therefore suitable for a sterile environment. Scrub caps on the other hand are looser and more suitable for situations requiring lower levels of restrictive protection. These are basically thin, elastic booties that are used to cover footwear. These booties have several properties such as skid-resistant, latex-free, rugged and fluid repellant. Shoe covers are available in a range of sizes to suit different shoe styles and sizes. Two other widely used medical protective clothing includes independent sleeves and jumpsuits. 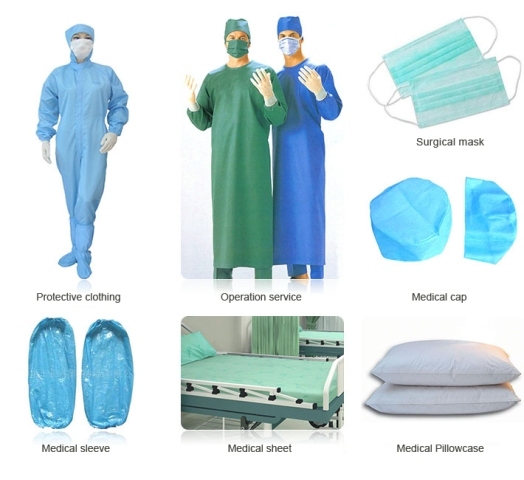 Several reputed online stores are offering a comprehensive range of medical protective apparel from leading manufacturers at highly competitive prices. You may want to check such stores to meet your medical supply needs.